Delivering differentiation in a market full of similars. 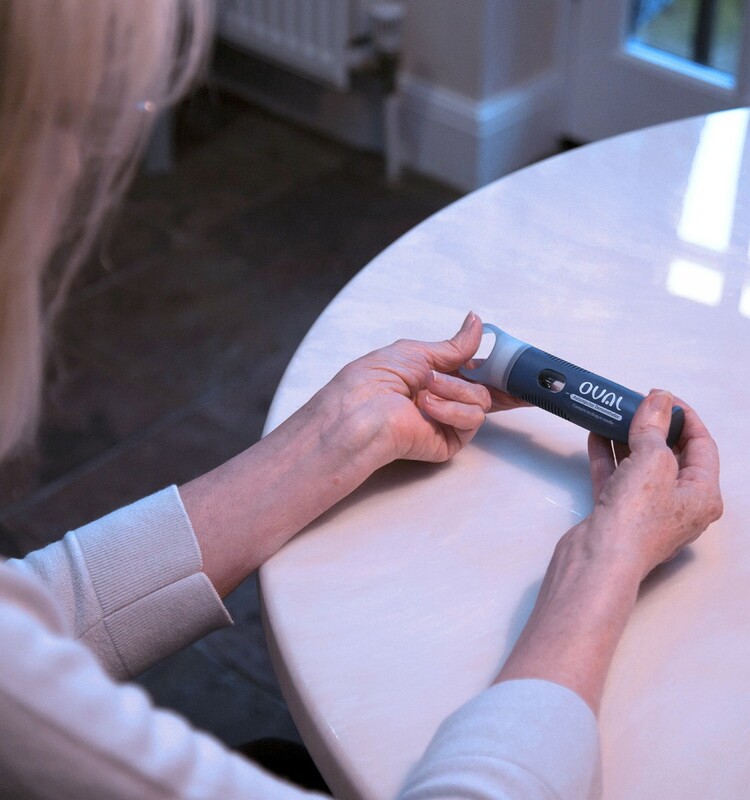 Oval’s approach to device development combines a deep understanding of patient need with our advanced autoinjector technology, allowing us to customise our platforms and create devices that work for any patient or formulation. 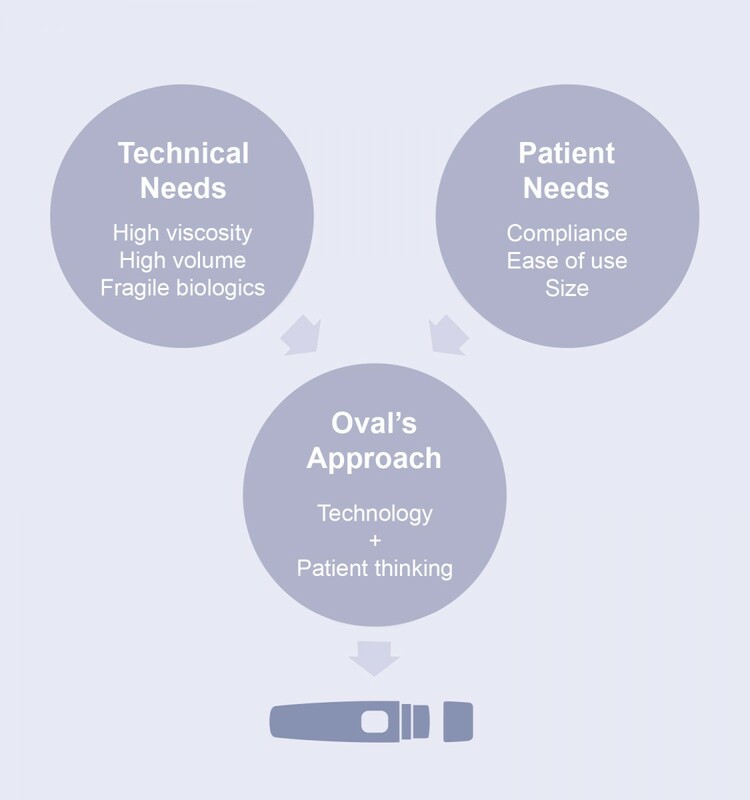 Oval’s technologies are centred around custom primary drug containers, allowing higher viscosities, a wide range of volumes and fragile molecules to be delivered. 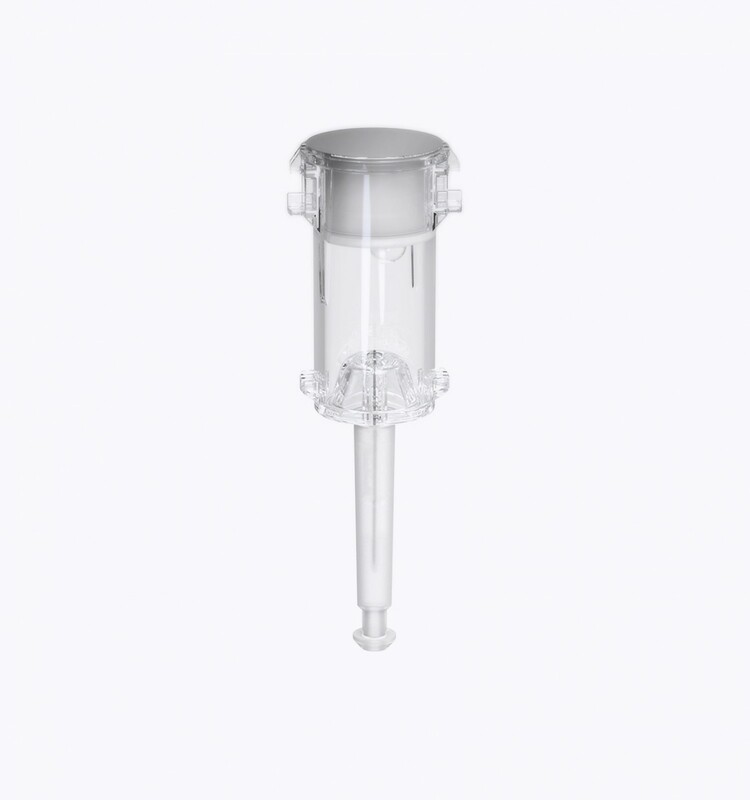 Our autoinjectors are small, whilst giving fast and consistent delivery times, and being customisable to respond to the needs of your formulation and patient group. Throughout our development process patient need is brought to the forefront. Going further than just the immediate need of the patient to receive their drug, we develop an understanding of their emotional needs, creating devices and packaging that work on all levels.